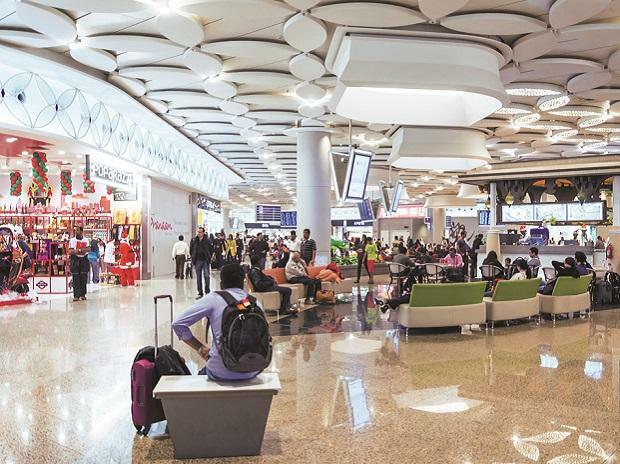 Taking the Jewar international airport project in Noida, estimated to cost more than Rs 16,000 crore, a step closer to fruition, the Yogi Adityanath government in Uttar Pradesh has notified land for the resettlement of displaced farmers. The notification for acquiring about 50 hectares of land in Jewar tehsil of Gautam Budh Nagar district was issued on Friday, where displaced farmers, whose land would be acquired for the mega project would be resettled and rehabilitated by the state government. The state will acquire more than 1,239 hectares for the proposed airport, which has been positioned as a future aviation hub that will decongest the Indira Gandhi International Airport, New Delhi. Jewar sub-divisional magistrate (SDM), Prasun Dwivedi, told Business Standard the notification had been issued under section 19 of the Land Acquisition, Rehabilitation and Resettlement Act, 2013. “There is a provision for the landowners to file objections to the notification within a month before the actual acquisition starts,” he informed adding now the land acquisition process for the airport project had entered in the final phase. Each displaced family would also receive a monthly sustenance payout of Rs 3,000 for a year, while the SC/ST family would get a lump sum payment of Rs 50,000, as per the notification order. Besides, a member of every displaced family would be given a job with the airport project. On October 30, 2018, the Adityanath government had notified 1,239 hectares of land for acquisition in Banwariwaas, Dayanatpur Kishorepur, Paarohi, Ranhera and Rohi in Jewar for public good i.e. the development of proposed Noida International Greenfield Airport through UP civil aviation department. On December 11, the government had decided to create a level playing field for global infrastructure majors to bid for the project by scrapping some clauses in the standard bidding terms, which had earlier accorded weightage to Indian infra companies vis-à-vis their foreign counterparts. UP health minister and government spokesperson had said the state tweaked the bidding terms to create a level playing field, so that the proposed international airport matched up to the best global standards. Chief minister Adityanath had even underlined its utility for not only UP, but also Rajasthan, Uttarakhand and Haryana. To be developed under public private partnership (PPP) model, the project had been hanging fire over the last 18 years after it was first conceived in 2000 owing to regulatory and clearances hurdles. As per techno-economic feasibility report, the airport would comprise two runways and handle 70 million passengers and 3 million tonnes cargo annually when fully developed. Although the project needs 5,000 hectares, the airport alone would require 1,300 hectares in first phase to become operational by 2022-23. The Adityanath government had in August 2018 allocated Rs 800 crore in the supplementary budget for land acquisition.